So you think you want an MGB? Miscellaneous Downloadable PDFs The sectioned MGB at the Heritage Motor Centre Museum, Gaydon So you think you want an MGB? Q. The one I am most interested in has been lovingly maintained by an owner forced to relocate overseas. It's a 1977 roadster with a newish gold seal engine with only 13,000 miles and is said to run beautifully. The body is free of any rust and has a 2 yr old soft top. A. Body condition is everything, mechanicals are relatively cheap and easy to fix. When was it last painted? A quick fill and paint job can cover a multitude of sins only for them to start bubbling out a few months later. Q. I am looking into some further details about the car...and curious about the insurance rates. A. Insurance depends on things like owners age, driving experience, location, and intended usage like any other car. For someone in their forties, living in a low crime area, with the car garaged and limited mileage, you could be talking not much more than £100. But for a young person living in a flat, parking on the street and using it as an everyday car then several hundred pounds. Best to get a quote first. There are a number of specialists about like Peart, Lancaster, Footman James etc. 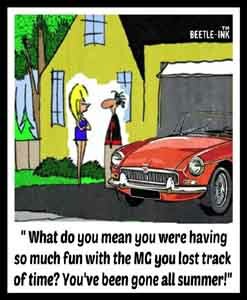 They may need to you to be a member of a classic car club like the MG Car or Owners clubs which is beneficial anyway. Always ask about 'agreed value' cover, where you agree the market value of the car and they promise (check this!) to pay out that value in the event of a total loss. Without this you will only get the average value of the car, which can be many thousands of pounds less than the agreed value in the case of even a very good, much less concourse, example. Q. What I am really interested in is the level (and cost) of constant maintenance it will require and I'm wondering how generally dependable it is likely to be. A. A classic car will always require more attention than a modern car, they were designed with that in mind, as well as them being up to 40 years old now and parts wearing out. 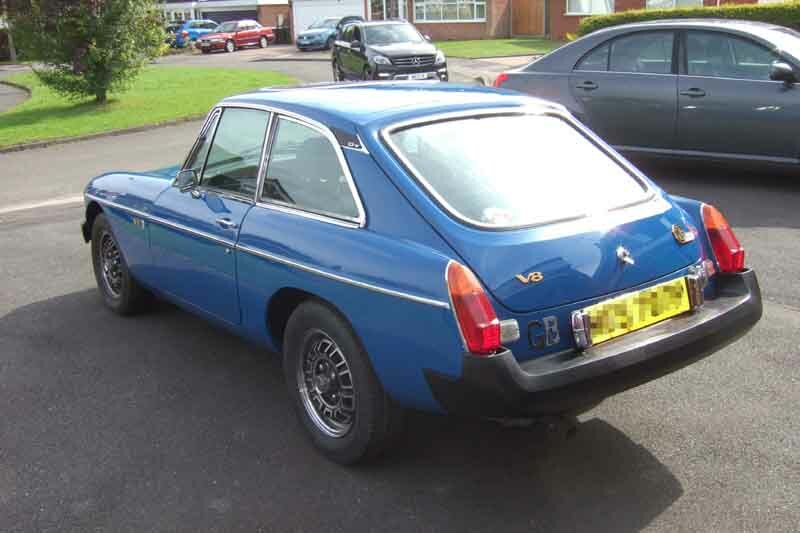 Given the correct level of care and attention there is every reason to expect an MGB to be as reliable as a modern car. For some eight or nine years I relied on a 73 roadster and a 75 V8 and no other cars, and for most of that time I was commuting up to 150 miles per day. In a combined mileage of about 100,000 miles each car has stopped at the roadside once, which (apart from running out of petrol once after having changed a part that made the gauge very inaccurate) I was able to sort out on the spot. Q. My initial research is showing that parts are generally available in the UK. A. For a UK spec car I would say that all the parts are available here, there are a great many suppliers, but as with anything quality and cost can vary. Having said that the cost of decent parts for the MGB is often significantly less than the equivalent item for a modern car and sometimes more readily available! Suppliers usually do mail order so even physical distance is not an issue. Mail Order is by far the most popular these days, although it can be cheaper and more convenient with heavy and exchange parts that incur a surcharge to visit a supplier. Q. I think I have found at least one garage in my new area able to service such a car. The only real concern is having it be more hassle than joy as I am keen to learn about its workings but as of now have exactly no knowledge about cars engines and the like. A. Paying a garage to keep the car running will be expensive given current labour rates of anywhere from £50-£100 per hour. 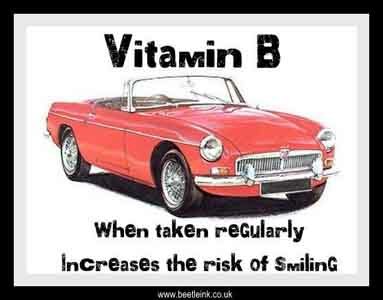 You would also need to make sure they had experience of classic cars, modern places rely on computer diagnostics which can't be applied to cars like the MGB, and they are used to swapping parts willy-nilly at your cost until they fix the problem. You would be well advised to think in terms of doing as much work as possible yourself - space i.e. garage permitting. 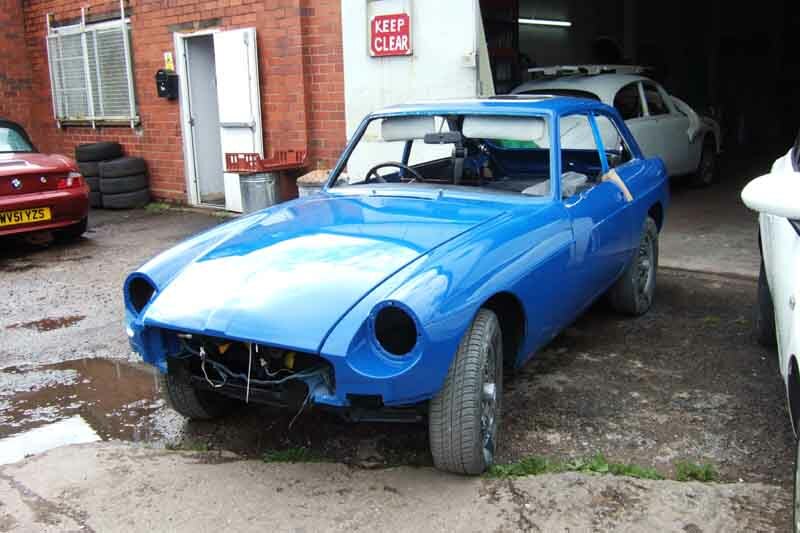 It is an easy car to work on and there is plenty of free advice available online as well as from local MGB clubs. Q. Am I insane to be considering purchasing one? A. We are all insane to a greater or lesser degree, welcome to the club! Q. Any advice, insight, warnings, things to look for, avoid etc, would be very much appreciated. 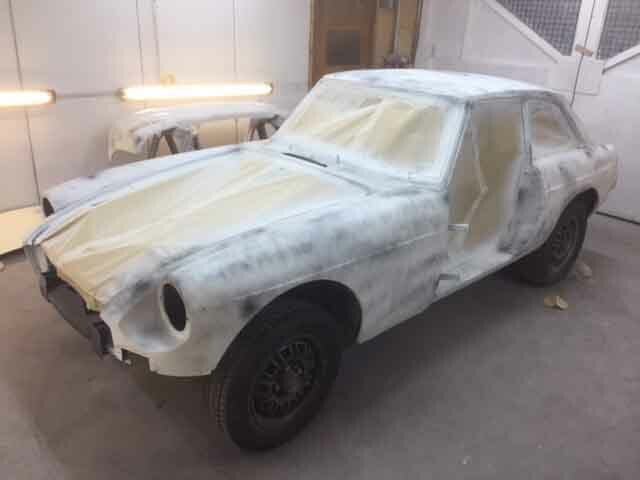 A. I would strongly advise you to get hold of a copy of Lyndsay Porter's 'Guide to Purchase and DIY Restoration of the MGB', republished as 'The MGB Restoration Manual', it does exactly what it says on the cover. They are sometimes available on loan from libraries or for purchase second hand at classic car shows etc, as well as available new. It contains a checklist of what to look out for when buying an MGB and a guide as to how much each costs to put right. I bought both mine using this checklist, as well as looking over, under, round, inside and out, listening, sniffing, driving etc. and in both case I got something slightly better than I expected. 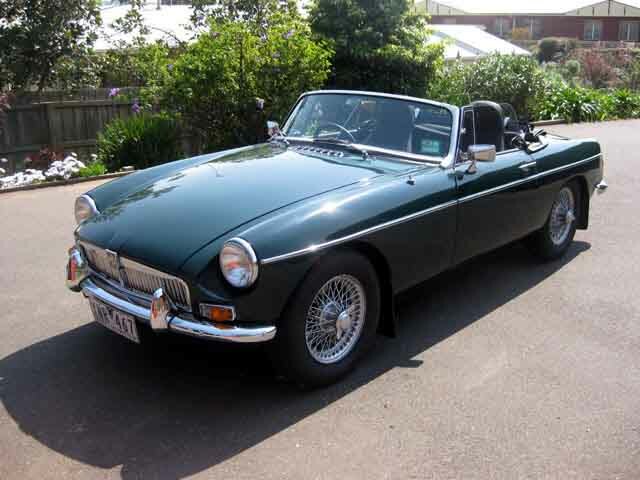 People from local MGB clubs will also be happy to go and look at a car with you and give an opinion, I am sure. A. Roadsters are more sought after than GTs, chrome-bumpers (up to 74) more than the later 'rubber bumpers'. Amongst the purists the earliest cars with the pull-handles (1962-64) are the most sought after. 1971/72 chrome bumper cars had a curious recessed grill which few like, but many owners have replaced these with the earlier all-chrome grill or the later grill of the same shape which has the chrome surround and black plastic inserts. The recessed grille is now something of a rarity, and can be more desirable. I have a chrome bumper roadster and a rubber bumper V8 GT, the rubber bumpers are more acceptable on the GT (even more so on the V8 with fatter tyres), and can be more practical on an everyday car - chrome bumpers will not stand up to parking nudges as well. Q. I am told cars over 25 years old in England are not taxed-does this still apply when the engine has been replaced? A. The tax-free cut-off is fixed at 1st January 1973. Anything built (doesn't matter when it was first registered) before this date is tax free saving £160 per year. It is irrespective of any mechanical or body changes on the car as long as it retains its original chassis number. The tax-free cut-off has been on a rolling 40 year basis for a couple of years now, and such vehicles are classed as Vehicles of Historic Interest (VHI). More changes due in May 2018 - VHIs will be eligible to become MOT-exempt, on application, but only if they haven't been 'substantially modified' in the previous 30 years. More info here. Q. Are unleaded conversions preferable in terms of performance? A. No performance benefits or drawbacks either way, but eventually the engine may need to have an unleaded head fitted, typically £150 plus a similar amount to fit. 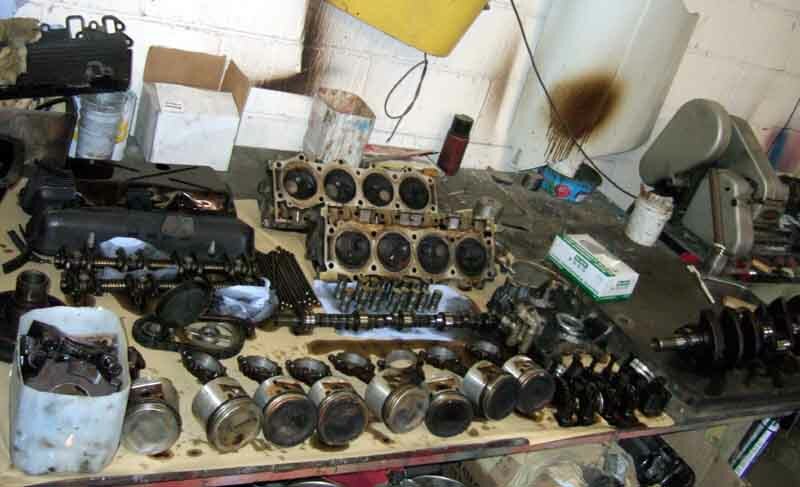 But so far I have not heard of anyone suffering from the problem that using unleaded fuel on an unmodified engine is supposed to cause - valve seat recession - and that includes North America where it has been in use for 30 years or more. Additives are available here which are said to protect against the problem and give peace of mind for a few pence per gallon, I use Castrol Valvemaster. Super Unleaded or Shell Optimax usually give significantly better performance than basic unleaded, regardless of which head you are using. Bodily the V8 is the same as the 4-cylinder GT and the interior, gearbox, axle, brakes, steering and suspension are much the same (except that on all but the earliest cars OD operates on 4th only) but the engine is very different, of course. 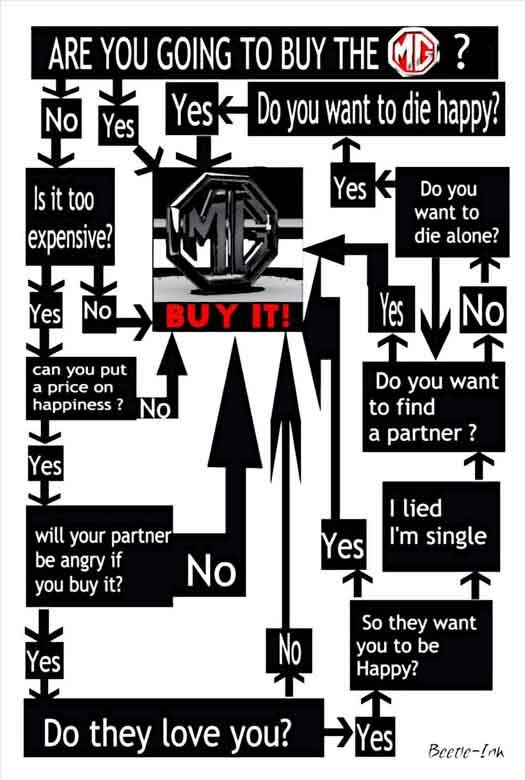 The following gives some guidance on how to approach purchasing a V8. Factory V8s are described as having a high-flow oil system and not a high pressure one, the hot running pressure should be 40psi (ideally reaching that at about 2000 rpm) and hot idle can be as low as 10 or 15, or as an acquaintance with much experience of Police V8s, has said "What hot oil pressure?". They do have a gauge - the twin mechanical oil and temp gauge similar (but different scales) to the 4-cylinder car. They have hydraulic tappets which can give rise to clatter on cold starts and hot idle when they and the cam needs replacement so when up to temp make sure you leave it idling long enough for the electric fans to cut in and out a couple of times. With the handbrake hard on put it into 4th and sloooowly let the clutch out to drag the revs down to stalling point and listen for any ticking at low revs. If you hear none then fine, but if it starts ticking at very low revs it is an indication that there is some wear in the tappets, but not serious. V8s also have a very long oil gauge rise time (and a similarly slow fall time if turned off when still cold) but they should start rising within a second or so of firing up from cold. When viewing tell the owner not to start it and run it up to temp before your arrival, you want to be there for the cold start as well as the hot idle. The owners of the two I looked at did, I was surprised at the time, now I think I know why. There shouldn't be leaks of any fluids, even oil. 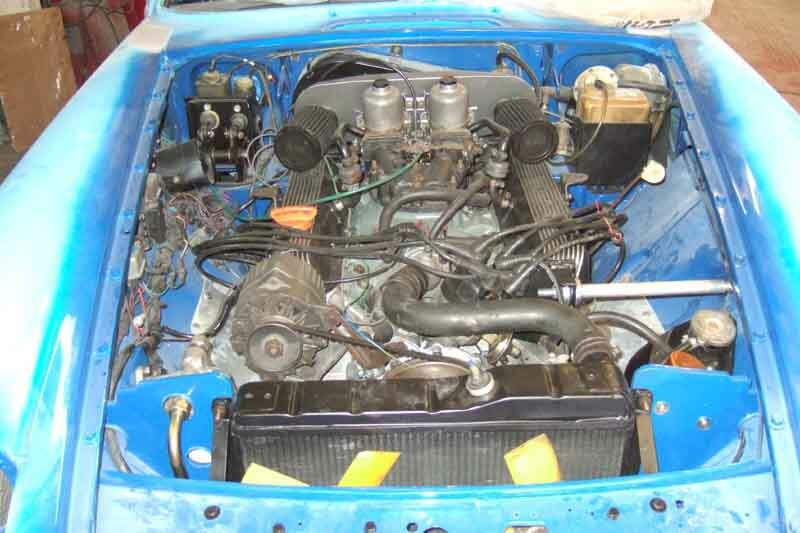 I know 4-cylinder MGBs are said to be leaky but V8s shouldn't be. However if the valley gasket under the inlet manifold is replaced as per the factory instructions you can get leaks from the rubber gaskets at the ends. An alternative procedure is recommended here. Oil on the dipstick should be clean and when you remove the oil filler cap and look inside it should be a dark bronze colour if the oil changes have been done properly, black crud is bad news. Ask the owner about their oil change regime, hopefully they will say oil and filter replacement every 3000 miles and ideally the use of a pre-change flushing treatment such as Forte or STP. If you buy one and on your first oil change use such a treatment, don't be surprised to see oil that was relatively clean on the dipstick beforehand come out like black water - and very hot! Idle speed should be about 800 rpm, but it will drop when the fans cut in. I prefer to have mine idling at about 800 when the fans are operating which means it will be closer to 1000 when they are off. Cooling can be marginal, even in the UK, and they will cope much better in the cool of the autumn as compared with the mid-30's we have been having this year (2003). They do run hotter than 4-cylinder cars and whilst the gauge should be on N at cruising speeds in free air it can take a while for it to get back down to that after a period stuck in traffic with the fans running. The Special Tuning air dam, or even repositioning the number-plate, can improve cooling on rubber bumper car when under-way, as described here. The fans should cut in and out about mid-way between N and the red H zone on the gauge (although the SU Burlen replacement cuts in before mid-way and doesn't cut out again until nearly back down on N) don't be fussed by this as long as it stays out of the red zone and isn't losing coolant it isn't overheating. Several years ago before I fully fettled my cooling system mine did idle in the red in very hot weather but still had no problems other than a rough idle. Check both fans operate together and if the owner insists on running them from a manual switch to keep the temp gauge down be suspicious. Give it a good run then switch off and make sure it doesn't vomit water out of the overflow after a couple of seconds - indicates possible engine problems or may just be a bad cap (should be 15lb no higher). The overflow shouldn't be directed into a catch-bottle, if it is then maybe it is losing coolant. While waiting for this it is normal to see the temp gauge rise from N possibly as high as mid-way between N and the red zone, but it should rapidly come down again on restarting. When hot you should be able to remove the radiator cap slowly and carefully without it boiling over, just some rushing, hissing and gurgling, and the coolant level should be near the top of the expansion tank, and about half-way (you may need a dip-stick) when cold. I have an uprated rad with the same outward appearance as the standard but it didn't make much difference - the 25% uprating refers to the number of tubes but the law of diminishing returns comes into play and there is nowhere near a 25% increasing in cooling. By far the biggest improvement to cooling came from providing a local earth connection to each fan motor instead of relying on the harness earth, and providing a direct feed from the alternator to the fan relay, both as detailed elsewhere on this site. Since doing all that work, and the top-end rebuild which corrected a cooling system problem, I shut mine in the garage (exhaust piped outside) on a 30 degree day and left it idling to see what happened. The air going into the grill was being recirculated from the engine bay rather than being 'fresh' air at ambient and actually got up to 41 degrees, but still the temp gauge never got more than two-thirds the way from N to H. The fans were running full-time and were never going to get it low enough to switch off, but it wasn't getting any higher either. Another improvement is to take the considerable electric load of the fans when running off the battery when cranking. Fuel consumption can be as low as 10 or 15 mpg if you use a tankful just knocking round town. On a run even at speed you should get 28mpg. One year I came back from Le Mans keeping the speed down to around 65 to 70 and being very gentle on the throttle as it was tending to lose coolant and on that run it did an amazing 320 miles on nearly a tankful or 34mpg. Some years later I travelled from Birmingham to Fort William and back, just under 870 miles. Motorway all the way to and through Glasgow, then just over 100 miles single-carriageway the rest of the way. Not taking it easy like last time but not going too mad either, we achieved over 35 on the motorway, 32 on the single-carriageway, to average 34mpg overall. How the TF became a B; getting it running; oil leaks; octagonal nuts; Banjo diff. More banjo diff; more fuel pump; more carbs. Doing what they were made for - driving! But these all pale into insignificance given Terry's story who despite being completely blind reassembled an abandoned restoration All by Touch. 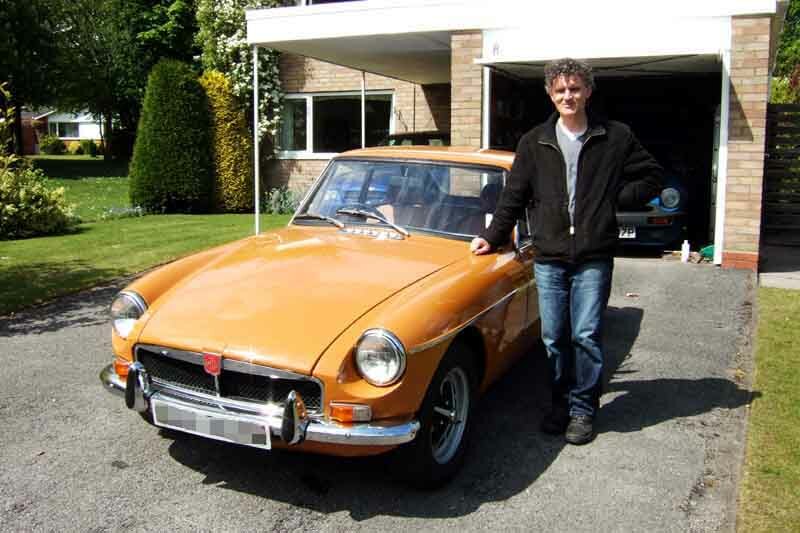 Shortly after completing his first MGB he visited me in Solihull in it. He admitted that building up to the visit he was getting more and more nervous as it was a round-trip of 340 miles, but it was trouble-free. If that wasn't enough Terry then bought and sold several other MGBs and a Stag, some as runners and some for restoration. One of these was another abandoned restoration, this time of a Mk1 roadster, and again completed it to gain its MOT at the first attempt. That shell required a lot of remedial work by his body man, but that gave him the chance to deal with all the ancillaries, fixtures and fittings. However between writing the 2011 article and it being published, Terry was rushed to hospital one night after suffering a stroke, and during the tests they discovered that not only did he have a previously undiagnosed hole-in-the-heart that had precipitated the stroke, but also had myeloma which is a type of cancer where abnormal plasma cells develop and multiply uncontrollably in the bone marrow. It is a measure of his indefatigability that when telling me that he had family members with each of his major problems i.e. visual impairment, hole-in-the-heart and cancer, he joked that he had "copped for the lot". The cancer led to a series of chemo treatments which made him feel very unwell, and two painful sessions of bone marrow transplants. But while each did initially improve the results of the many blood tests he was having, they would simply worsen again, despite each course of treatment being more severe than the last. His treatments led to periods where he was not able to work on the cars, but he forced himself out into the garage whenever he could, even in the depths of winter. 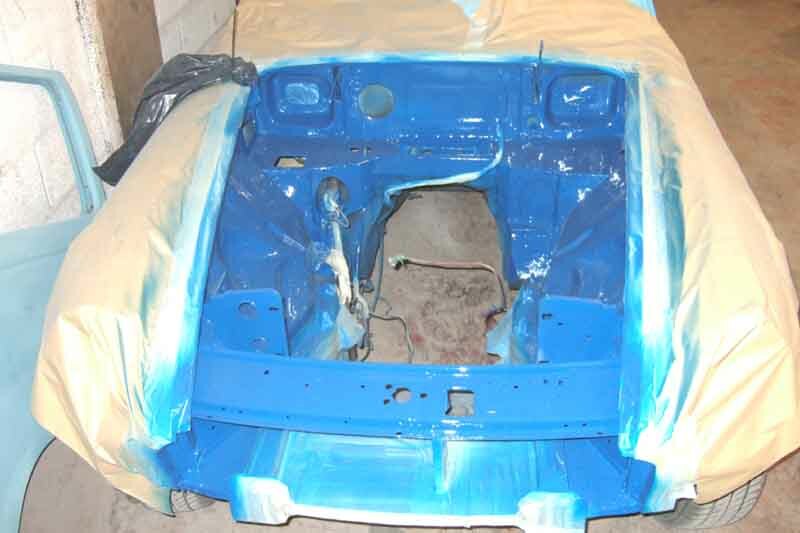 When he got the fully painted roadster body back reassembly started in earnest and became his prime objective. He did have more help on this one, Essex Area people helped him with the wiring and screen, I had the quarterlights rechromed and rebuilt them and did work on his fuel pump and wiper motor, and a local pal helped him with a lot of odd jobs such as cleaning and painting components. But again the bulk of the work by far he did himself. He was really pushing himself as he felt that 2015 was going to be his last year of ‘reasonable health’ (his words), and was determined to finish the car. It all took a very long time, but by the end of June 2015 he finally got it finished to the point of getting its MOT at the first attempt, and to say he was ‘over the moon’ is a huge understatement. Typical of his impish humour, he sent me a photo of the MOT saying "I’ve just been handed this regarding the 67, can you try and work it out for me please" and it took me a moment to realise just what it was! At the end of July he was on holiday with his family when he was suddenly taken ill with pneumonia, rushed to hospital, where he passed away on 1st August peacefully and for the first time in a long while pain-free. It came as a great shock, we lived 150 miles apart so rarely met up in person. When I said I was going on the 100mph plus zip-wire in North Wales in May he booked as well, but unfortunately had to cancel at the last minute due to a very short-notice hospital appointment. I realised that as time went on he may not be well enough to make the trip and so was preparing to go and see him, but the end came so suddenly and unexpectedly I didn’t get the chance, which I shall always regret. Over the seven years I knew him we exchanged over 3000 emails, sometimes 20 per day, together with Skype calls and him sending me several hundred photos and pieces of video, while he painstakingly reassembled his cars and we sorted out problems together. We had many laughs along the way. Terry was the most amazing and inspiring person I have ever met, and I shall miss him. He was just 49 years old, and leaves a wife and two children aged 7 and 5. 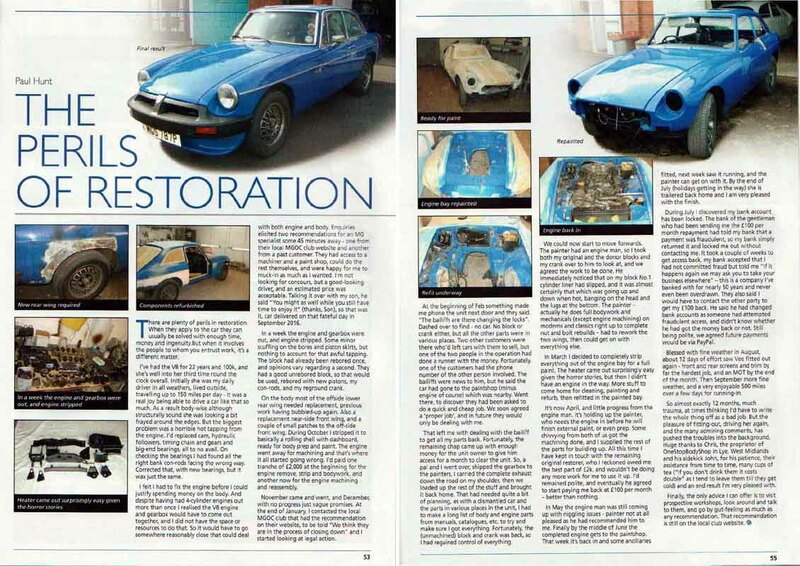 The Perils in Restoration Published in MGOC 'Enjoying MGOC' February 2018. There are plenty of perils in restoration. When they apply to the car they can usually be solved with enough time, money and ingenuity. But when it involves the people to whom you entrust work, it’s a different matter. I've had the V8 for 22 years and 100k, and she’s well into her third time round the clock overall. Initially she was my daily driver in all weathers, lived outside, travelling up to 150 miles per day - it was a real joy being able to drive a car like that so much. As a result body-wise although structurally sound she was looking a bit frayed around the edges. But the biggest problem was a horrible hot tapping from the engine. I’d replaced cam, hydraulic followers, timing chain and gears and big-end bearings, all to no avail. On checking the bearings I had found all the right bank con-rods facing the wrong way! Corrected that, with new bearings, but it was just the same. I felt I had to fix the engine before I could justify spending money on the body. And despite having had 4-cylinder engines out more than once I realised the V8 engine and gearbox would have to come out together, and I did not have the space or resources to do that. So it would have to go somewhere reasonably close that could deal with both engine and body. Enquiries elicited two recommendations for an MG specialist some 45 minutes away - one from their local MGOC club web-site and another from a past customer. They had access to a machiner and a paint shop, could do the rest themselves, and were happy for me to muck-in as much as I wanted. I’m not looking for concourse, but a good-looking driver, and an estimated price was acceptable. Talking it over with my son, he said "You might as well while you still have time to enjoy it" (thanks, Son), so that was it, car delivered on that fateful day in September 2016. In a week the engine and gearbox were out, and engine stripped. Some minor scuffing on the bores and piston skirts, but nothing to account for that awful tapping. The block had already been rebored once, and opinions vary regarding a second. They had a good unrebored block, so that would be used, rebored with new pistons, my con-rods, and my reground crank. On the body most of the offside lower rear wing needed replacement, previous work before my time having bubbled-up again. Also a replacement near-side front wing, and a couple of small patches to the off-side front wing. During October I stripped it to basically a rolling shell with dashboard, ready for body prep and paint. The engine went away for machining - and that’s where it all started going wrong. I’d paid one tranche of £2000 at the beginning for the engine remove, strip and bodywork, and another now for the engine machining and reassembly. November came and went, and December, with no progress just vague promises. At the end of January I contacted the local MGOC club that had the recommendation on their web site, to be told "We think they are in the process of closing down" and I started looking at legal action. At the beginning of Feb something made me phone the unit next door and they said "The bailiffs are there changing the locks"! Dashed over to find - no car! No block or crank either, but all the other parts were in various places. Two other customers were there who’d left cars with them to sell, but one of the two people in the operation had done a runner with the money. Fortunately one of the customers had the phone number of the other person involved. The bailiffs were news to him, but he said the car had gone to the paintshop (minus engine of course) which was nearby. Went there, to discover they had been asked to do a quick and cheap job. We soon agreed a ‘proper job’, and in future they would only be dealing with me. That left me with dealing with the bailiff to get all my parts back. Fortunately the remaining chap came up with enough money for the unit owner to give him access for a month to clear the unit. So a pal and I went over, shipped the gearbox to the painters, I carried the complete exhaust down the road on my shoulder, then we loaded up the rest of the stuff and brought it back home. That had needed quite a bit of planning, as with a dismantled car and the parts in various places in the unit, I had to make a long list of body and engine parts from manuals, catalogues, etc. to try and make sure I got everything. Fortunately the (unmachined) block and crank was back, so I had regained control of everything. We could now start to move forwards. The painter had an engine man, so I took both my original and the donor blocks and my crank over to him to look at, and we agreed the work to be done. He immediately noticed that on my block No.1 cylinder liner had slipped, and it was almost certainly that which was going up and down when hot, banging on the head and the lugs at the bottom. The painter - actually he does full bodywork and mechanicals (except engine machining) on moderns and classics right up to complete nut and bolt rebuilds - had to rework the two wings, then could get on with everything else. In March I decided to completely strip everything out of the engine bay for a full paint. Heater came out surprisingly easy given the horror stories, but then I didn’t have an engine in the way. More stuff to come home for cleaning, painting and refurb, then refitted in the painted bay. It’s now April, and little progress from the engine man. 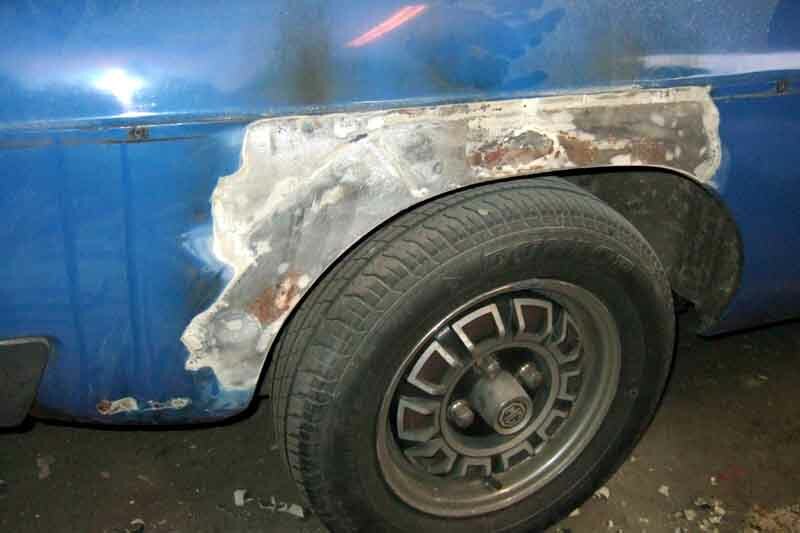 It’s holding up the painter, who needs the engine in before he will finish external paint, or even prep. Some chivvying from both of us got the machining done, and I supplied the rest of the parts for building-up. All this time I have kept in touch with the remaining original restorer, who I reckoned owed me the best part of £2k, and wouldn’t be doing any more work for me to use it up. I’d remained polite, and eventually he agreed to start paying me back at £100 per month - better than nothing. In May the engine man was still coming up with niggling issues - painter not at all pleased as he had recommended him to me. Finally by the middle of June the completed engine gets to the paintshop. 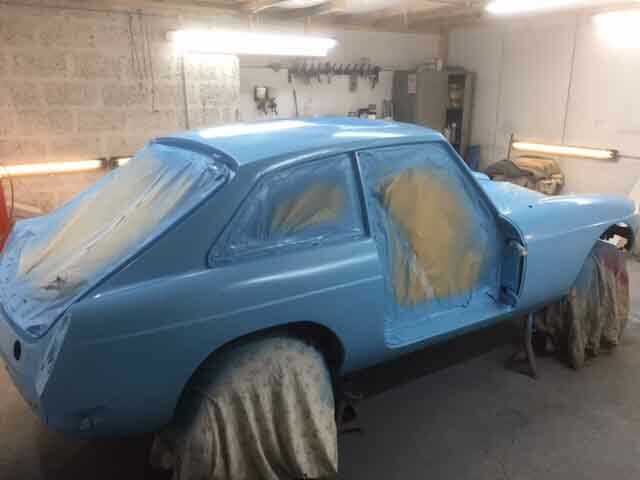 That week it’s back in and some ancillaries fitted, next week saw it running, and the painter can get on with it. By the end of July (holidays getting in the way) she is trailered back home, very pleased with the finish! During July I discover my bank account has been locked. The bank that had been sending me the £100 per month repayment had told my bank a payment was fraudulent, so my bank simply returned it and locked me out without contacting me! It took a couple of weeks to get access back, my bank accepted I had not committed fraud but told me "If it happens again we may ask you to take your business elsewhere" - this is someone I’ve banked with for nearly 50 years and never even been overdrawn! They also said I would have to contact the other party to get my £100 back. He said he had changed bank accounts as someone had attempted fraudulent access, and didn’t know whether he had had the money back or not. Still being polite, we agreed future payments would be via PayPal. Blessed with fine weather in August, about 12 days of effort saw Vee fitted out again - front and rear screens and trim by far the hardest job, and an MOT by the end of the month. Then September more fine weather, and a very enjoyable 500 miles over a few days for running-in. So almost exactly 12 months, much trauma, at times thinking I’d have to write the whole thing off as a bad job. But the pleasure of fitting-out, driving her again, and the many admiring comments, has pushed the troubles into the background. Huge thanks to Chris the proprietor of OneStopBodyShop in Lye, West Midlands and his sidekick John, for his patience, their assistance from time to time, many cups of tea ("If you don’t drink them it costs double" as I tend to leave them till they get cold) and an end result I’m very pleased with. Finally, the only advice I can offer is to visit prospective workshops, look around and talk to them, and go by gut-feeling as much as any recommendation. That recommendation is still on the local club website! I say 'finally', but for the full story in words and picture go here.